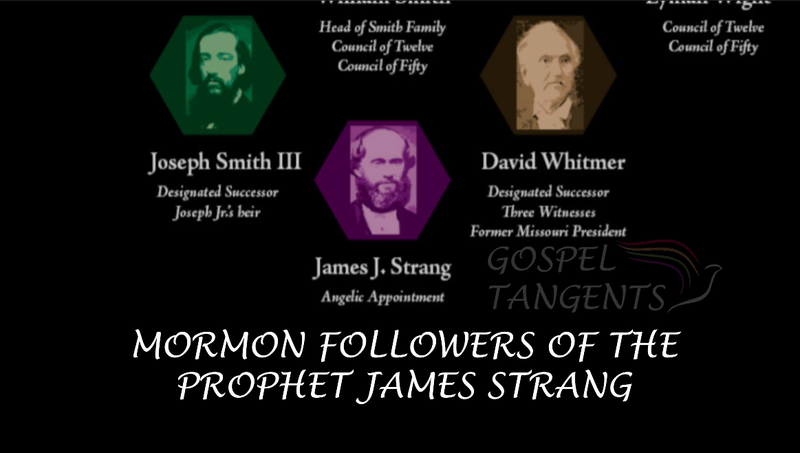 James Strang was one of the most unlikely people to succeed following the death of Joseph Smith in 1844. Historian John Hamer will talk more about James Strang and his group, sometimes called the Strangites. John: Yeah. 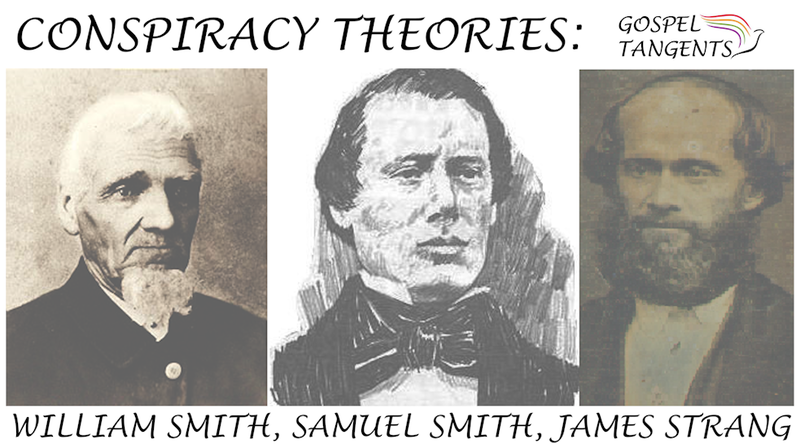 Of all of the different people that could have emerged in the Succession Crisis, this is the one that would be most unexpected to anybody before Joseph Smith’s death because he had been a relatively recent convert. He had been to Nauvoo. Strangite recollections are that he had been baptized by Joseph. He lived in Wisconsin, and so he wasn’t an insider in any significant way. But what happens fairly quickly is that he announces all sorts of new prophetic signs, callings, and things like that that, or examples. For example, there’s a new set of plates that are found by a new set of official witnesses. There’s a new translation. 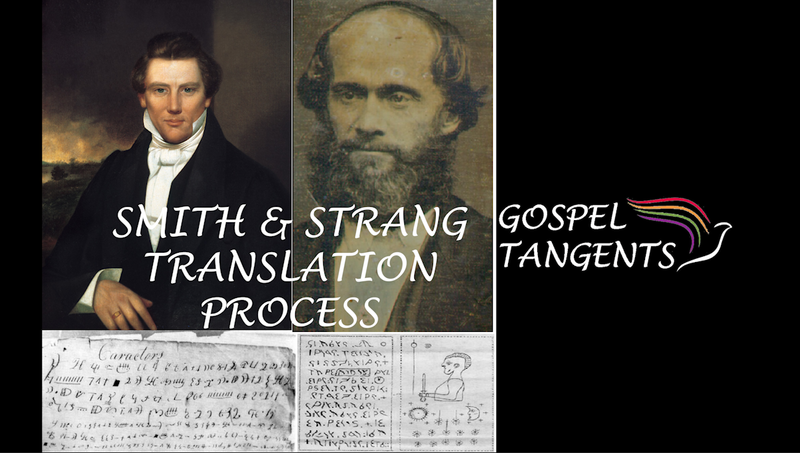 One thing he says, at the same moment that Joseph Smith is killed, an angel appeared to him and ordained him to be prophet, seer, revelator, and translator to the church. There can only be one on the planet at a time. So there’s not a thing where Joseph Smith can just give a bunch of keys to different people and then you collect the keys or something like that. It only can be one guy at a time and it’s not because you can’t—if we ran out of elders in the LDS Church, you can’t have a deacon ordain some new elder, so Strang says you can’t have apostles ordain a prophet because that doesn’t make any sense. You can’t a lower ordain [a higher.] Essentially the only way, according to Strang, that you could have had a successor is the same way that Joseph Smith became prophet which is through angelic ordination, or two, there is a verse in the Doctrine & Covenants that says if Joseph shall fall, he will not have any power save it be the need to appoint another in his stead. So James Strang had a letter. His interpretation of the letter is that it appointed him to be the successor, Joseph Smith’s successor. It’s a little bit ambiguously worded in that way. Also nobody who wasn’t a Strangite believed the letter was genuine. So it’s a contested letter, but he used the letter also as a claim on the two fronts there: there’s angelic ordination on the one hand, and he’s also been appointed the successor. We’ll learn more about some golden plates that he translated. GT: Ok. He also had some plates. I think there’s The Book of the Law of the Lord, and yesterday you talked about the Voree Plates. GT: Let’s talk about those. John: The first set of plates are the Voree Plates. GT: Oh that was the first set. GT: Oh I didn’t realize that. John: Yes. The first set of plates that Strang announces are the Voree Plates and it’s just very interesting story. I could talk about it for hours and hours. But anyway the idea of it is that near Strang’s house in Burlington, Wisconsin in a place that comes to be known as Voree. There’s a hill. An angel in a vision, Strang says, told him where plates are buried. He brings four guys to that spot. He shows them where the angel told them. They have shovels or whatever, and then Strang leaves. So they dig up what I told you, they believe that the earth has never been disturbed and that they actually have to get under the roots of this big old tree and things like that. They are convinced that the thing had been buried many, many years ago before this oak tree was on top of it and that kind of thing. Anyway they dig up plates. They are plates, though, that people physically see and it’s not simply the official witnesses who see. Thousands of people see the plates including obviously lots of non-members including the local newspaperman who is the newspaper editor of the Kenosha newspaper and he actually goes on to be the guy that invents the QWERTY typewriter keyboard. So that guy saw them. He didn’t pass judgment on them or whatever. He said some people thing they are pretty marvelous. But the point is it was a physical artifact. So Strang prints a translation of it through the gift and power of God. He says that he able to translate these plates. The gist of the translation is again, it’s a people that are killed off, just like the Nephites. It doesn’t say Nephites, but anyway, a Native people that have died in a great battle at this spot again, but this spot is going to be a place of refuge that at some point or other the church, God’s people, are going to, the forerunner, essentially the first prophet Joseph Smith—it doesn’t say it in those terms, but I’m just going to read between the lines here, Joseph Smith is going to get executed and the people are going to have to flee, the first refuge, and so they’ll come to gather to Voree, the great successor is going to emerge. Check out the video or audio to hear John talk more about his life. Strang was also martyred, similar to Joseph Smith, and his followers suffered even worse persecution on the shores of Lake Michigan. (Don’t forget to learn about another schismatic group, the Bickertonites in our previous conversation.) Check out our conversation…..
 Alice Cooper was a famous man from the “shock-rock” performer from the 1970s. His performances included special effects that made it appear his head was chopped off, and other gruesome acts during the concert. He continues to perform. He was born February 4, 1948 and his birth name was Vincent Damon Furnier.